I’m so glad you’re reading this! I read it in February and loved it. But a note: as far as I know, Yoon Ha Lee isn’t non-binary but a trans man. I had read that (I’ve been following him for a while) and I hope I’m not making a colossal mistake but that strikes me as “I don’t want to out myself or refer myself as a woman” more than “I’m non-binary”? Because he has talked a lot about how his portrayal of Brezan as a trans man in Raven Stratagem meant to him, and because he has never used the term non-binary for himself as far as I know, it doesn’t feel right to me to use it for him unless he asks people to? No, you’re fine! I’m at work myself, Hahahaha. But I just took it all out, and I appreciate your time. I think I was just overly paranoid to give them/him a title he/they were resentful having to come out as? I never want to hurt people, and again, I know how fluid sexuality and gender can be. But thank you, and I appreciate you. That makes sense, it can be read that way and I wouldn’t want to hurt anyone either. 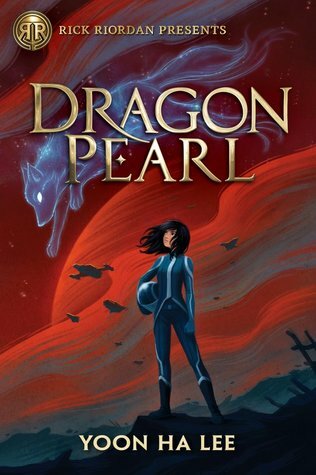 Anyway, thank you for your time, and I hope you enjoy Dragon Pearl! I’ll be interested to hear what y’all think! 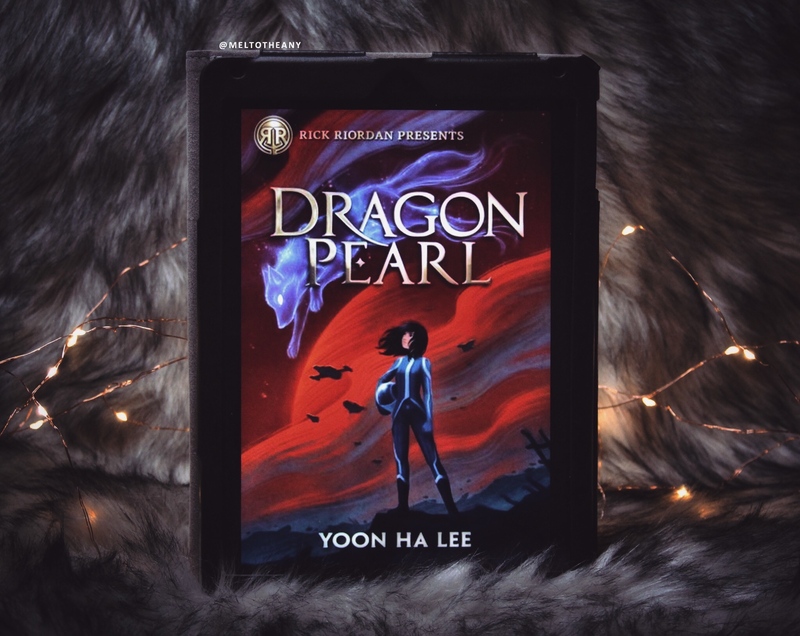 I wasn’t a fan of Yoon Ha Lee’s adult books, but I love the Rick Riordan Presents imprint. Also, sorry if you’re seeing a notification for me following you, while reading this post I must have accidentally unfollowed you somehow, lol. I swear I’m not only *just now* following you! I’m so in next month! HOPEFULLY I can finally participate, especially since this one looks really good! Great pick! So excited to be joining you ladies. Placed my order for the book last evening. Can’t wait for May to be here.